I have the cutest set of new releases ever from Tiddly Inks featuring both rubber and digital stamps, but I have to warn you ahead of time that this post is going to be picture heavy!!! Christy got her ink on this month, so this release is HUGE! And the truth is that once I started colouring these cuties, I couldn’t stop. Oh, and once I had them coloured, I couldn’t stop adding them to cards. Now, I am not going to bore you with details about each of them, but I promise to add more about each in the upcoming month for challenges and Friday features, so make sure you pop back! 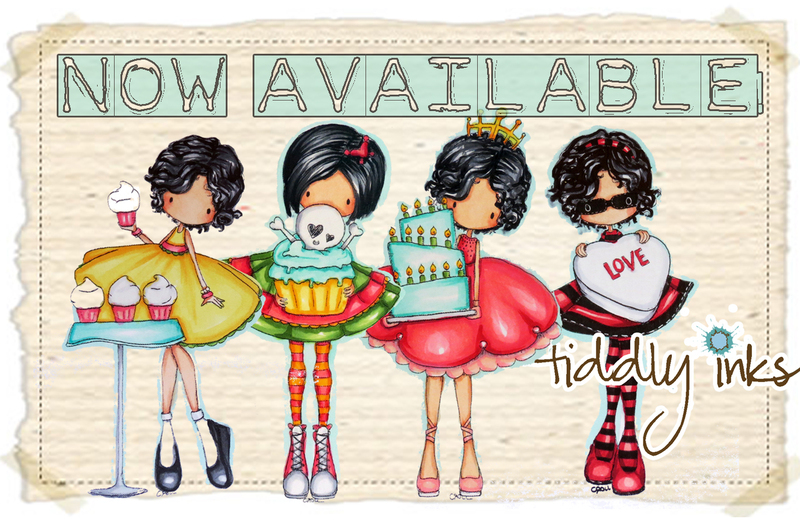 In the meantime, enjoy this awesome new release, and make sure you pop on over to the Tiddly Inks blog to see what the other ladies on the DT created with these cuties! And there’s more so go check them out! This entry was posted in Tiddly Inks and tagged cards, release, tiddlyinks by Scrappy Canuck. Bookmark the permalink. Hi Karen…. I’m one of the newbie DT girls… and I just wanted to pop over to say how much I LOVE what you’ve done with this gorgeous new release… and to say in particular that your handwritten sentiments are just awesome!!! I’ve done some small handwritten ones… but it must take guts to do a biggie – especially AFTER your colouring… LOL!